Wii Sports is returning, but in high definition, online play, and clubs. Say hello to Wii Sports Club. Revealed today, Wii Sports Club consists of the five sports from Wii Sports (bowling, tennis, baseball, boxing and golf) with Wii MotionPlus controls and in high def. The games, available as digital downloads, come with an online multiplayer versus mode that allows players to compete online. Players can also register in state or region clubs, enabling members to chat during matches, play each other, or face off against other clubs to improve their own club's ranking. See why these games are called Wii Sports Club? I do! 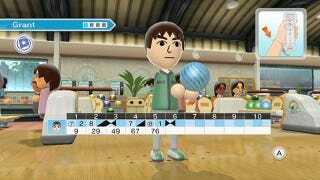 Tennis and Bowling hit first the Nintendo eShop on November 7, with Boxing, Baseball and Golf to follow at later dates. Players can get a 24-hour trial pass. Once it is up, they can purchase a Day Pass for $1.99 and play all available sports for 24 hours. Permanent access to individual sports is $9.99 each.